Girl: Maybe it would help for the girls to not be so clueless if the gentleman communicated what they wanted, and left the girls from guessing?? Girl: So you just gave an example of a guy being clueless. You don't want a girl to come over just say it....its all about being tactfully straight forward. This whole discussion ruffled my feathers a bit. I fully agree - the right girl would understand if the sincere truth is communicated in a gentle manner. If this young man feels stifled in his ability to express himself and be understood with this young lady, then perhaps she just isn't the one for him. Almost every man I have dated has at one point or another expressed a similar sentiment. Heck, I've even backed out of tentative plans due to exhaustion. Were there fights? No. Hurt feelings? No. Rescheduled plans? Yes! But then I think about my last dating experience. After three months, I wanted to be exclusive with the young man, however, he was not in the same place. Did I think he should want what I wanted? Guilty as charged. But I also honestly think I did not make him out to be the bad guy. He wasn't the one who chose to walk away, I was. Maybe he felt like he was the bad guy. I'm not going to argue who was or wasn't, but I will say communication was had and appropriate decisions made accordingly. No hard feelings. One of the worst things you can ever do in a relationship is ask someone to make a decision that is not right for them or not on their timeline. I don't understand why scenarios such as these have to be so complicated! People shouldn't take themselves so seriously and read destruction into every little detail that doesn't scream, "I love you!" Likewise, they shouldn't read love into every little detail that doesn't scream, "I can't stand you!" If you can't overanalyze your relationship, then what good is it? The problem I see with the scenario is the guy isn't explaining why he wants what he wants. If I asked if he wanted me to come over and he said "no" without anything else (Darling, I'm exhausted, maybe tomorrow? ), then he would be the bad guy for rejecting without reason. I can see why it ruffles feathers and to make it worse, we often assign gendered behavior to idiosyncratic individuals. Just so you know it doesn't all go away when you are dating, engaged or married. There are still times were you feel like you should do what the other things. Which isn't always bad. Sometimes it is compromise and sometimes it is being unselfish. Thou it is always better to communicate. It all boils down to knowing how to communicate, and this guy obviously doesn't know how. Any normal not crazy girl would completely understand. I agree with you. 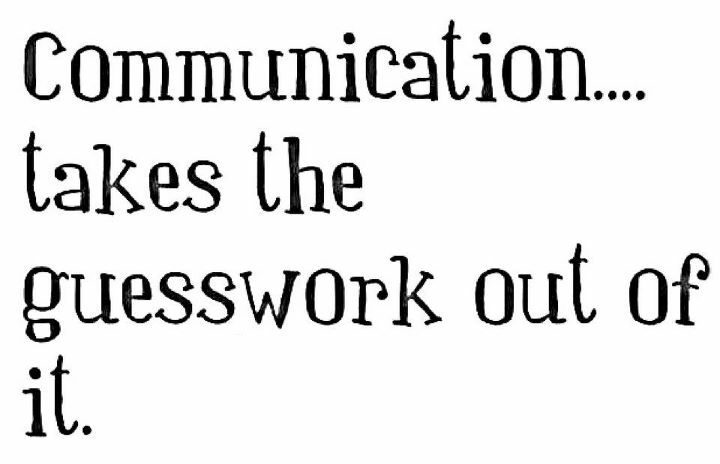 Tactful communication is the key. I completely agree with the post and comments! 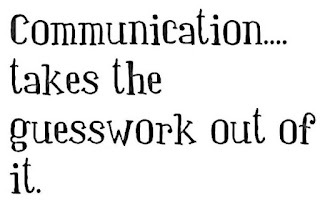 I would add that good communication does require a degree of trust. Trust to ask the right question. Trust that the question will be answered honestly. Trust that the answer will be received well. Boy: "May I kiss you?" Things like this bug me for a very simple reason that you've already addressed. Normal girls (not just the "right" girl) understand concepts like, "It's late." "I'm tired." "I'm busy." "I just want to watch Sports Center or read." If a girl gets mad at you because you've told her no, and she's not crazy, there's a simple explanation. Either your "no" was a lot harsher than you intended, or your unexplained "no" was a final straw on your haystack of bad behavior. Anyone who can dismiss someone with, "You're crazy. You're confusing," is someone who lacks the self-reflection skills to consider that maybe you're not the nice guy you think you are. Most girls will cut a nice guy a whole lot of slack. Everyone needs to stop making such broad generalized statements!